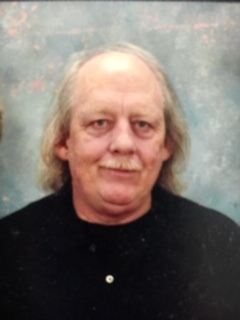 Richard (Rick) G., 61, of Hamilton, OH, passed away March 14, 2019. He was born March 3, 1958, in Liberty, KY. He was preceded in death by his mother, Lavonia L. (Wyatt) Helm and his father, Gilbert R. Lawhorn. He is survived by his children: Jeremy Lawhorn, Marie (Billy) North, and Matthew Lawhorn; grandchildren: Hailey, William, Jacob, Tyler, and Chad; brother: David (Sue) Lawhorn; sister: Gina (Jeff) Roberts; nephew: Nick; nieces: Amanda, Jessica and Sabrina; along with numerous aunts, uncles, cousins, relatives and friends who will greatly miss him. Rick spent many decades traveling the country on the open road as a long distance semi-truck driver. When his career ended, he focused on spending as much time as possible with his family, especially his grandchildren. He enjoyed the simple pleasures of life - a good cup of coffee, a Sunday NASCAR race, a tennis match on TV, and good conversation with a family member or friend. These were all sources from which he derived great contentment. Perhaps the best description of Rick appears in his senior high school yearbook. All senior students offered short quotes to illustrate their perception of each others’ personalities. The quote attributed to Rick was, “Sometimes I just sit and think, other times I just sit”. Anyone that really knew him can testify to the truth of these words. They fit his personality and sense of humor from the days of his youth until his passing. Visitation is on Thursday, March 21, 2019, from 6:00pm - 7:00pm with a Memorial service following at 7:00pm at the Avance Funeral Home, 4976 Winton Rd., Fairfield, Ohio 45014.